VBI alumni have won over 50 national debate championships across the Tournament of Champions, the National Speech and Debate Association, the National Catholic Forensic League, and the National Debate Coaches Association, in addition to hundreds of national invitationals, round robins, and state tournaments—and even a world championship. What's our secret? With fewer than four students per instructor, the VBI curriculum centers on one-on-one mentorship and active learning. Often imitated but never equaled, our flexible curriculum allows students to master whatever skills and concepts they need to achieve their goals. Many students say they learn more at VBI than in a year of school. READ MORE ABOUT THE VBI CURRICULUM. The VBI faculty is a diverse and dedicated group of educators that care deeply about helping each debater reach their full potential. Our faculty is composed of the most accomplished debaters and coaches in the country. VBI instructors have won or coached the winners of every major national championship, in addition to dozens of other invitationals, round robins, and state tournaments. Check out our 2019 Public Forum and Lincoln-Douglas faculty lists. Our students describe VBI as a fun family environment in which they feel comfortable asking questions, making friends, and reaching outside their comfort zones as debaters. They leave camp with lifelong friendships and a love for debate, which leads many students to return for two, three, or four summers. Read what our students have to say about VBI. This summer we are offering three sessions of the Victory Briefs Institute in Philadelphia and Los Angeles. Scroll down to read more about each of our sessions. This two-week session takes place from June 29th to July 12th at Swarthmore College. It is open to Public Forum and Lincoln-Douglas debaters entering grades 6 through 12 in Fall 2019 and is suitable for debaters of all experience levels, circuits, and competitive ambitions. It is especially recommended for students looking for a smaller environment with more individualized attention. Just 10 miles from Philadelphia and about two hours from New York and Washington D.C., Swarthmore is the perfect site for VBI in the Northeast. Swarthmore is the #3 ranked liberal arts college in the country according to U.S. News & World Report. It has been named #1 in the country six times, and many call it one of the "Little Ivies." Swarthmore has a reputation for sending students to elite graduate programs in law, medicine, business, and academia, and its historic Peasley Debate Society is highly competitive. Students and staff will stay in Alice Paul, David Kemp, and Danawell Halls. Most students will share a room with another camper. Roommate request forms will be sent out in the spring after students have registered. VBI tuition covers three meals per day for students in the Sharples Dining Hall. Students arriving by plane should plan to land no later than 3 PM on June 29th and students arriving by car must be on campus by 4:00 PM. Students may arrive beginning at 7 AM. We recommend trying to arrive as early as possible. All students must be off campus by 12 PM on July 12th. If you are unable to make this times work, please contact us as early as possible so that arrangements can be made. VBI will provide transportation by hired shuttle to and from Philadelphia International Airport (PHL) to students arriving and departing within the designated travel window (7 AM - 3PM). Students will be greeted at baggage claim by staff wearing VBI t-shirts and holding signs. The airport transportation fee is $100. Students arriving outside of the travel window are responsible for providing their own travel. Answers to frequent questions about VBI Philadelphia can be found HERE. This three-week session takes place from July 14th to August 2nd at Loyola Marymount University. 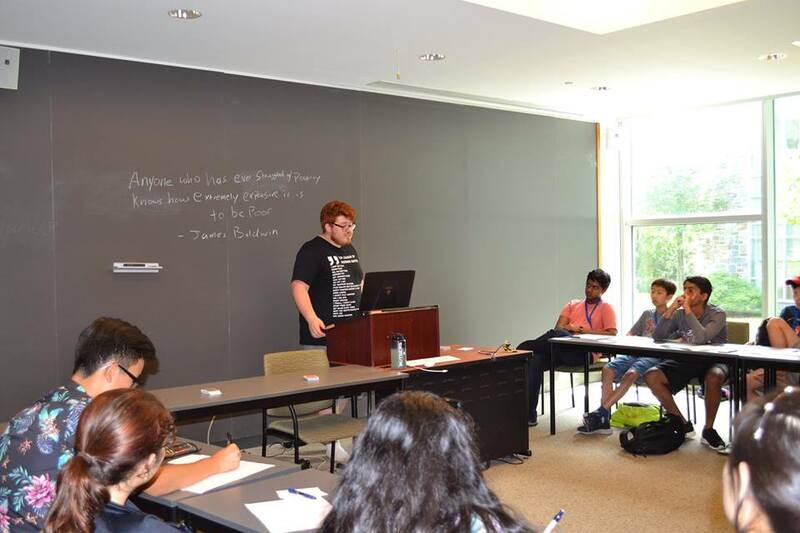 Our most popular and successful institute, LA Session I is open to Public Forum and Lincoln-Douglas debaters entering grades 6 through 12 in Fall 2019 and is suitable for debaters of all experience levels, circuits, and competitive ambitions. Debate becomes increasingly complex each year. The highest levels of success require knowledge of moral and political philosophy, debate theory, politics, law, critical theory—the list goes on—in addition to communication and argumentation skills that require hundreds of hours of practice. Given this complexity, a growing number of students are looking for a way to delve into greater depth than is realistic during typical two-week camps. The only existing options for those students are optional extension weeks or signing up for a second camp altogether, both of which require starting from scratch with new instructors, new labmates, and a new curriculum. 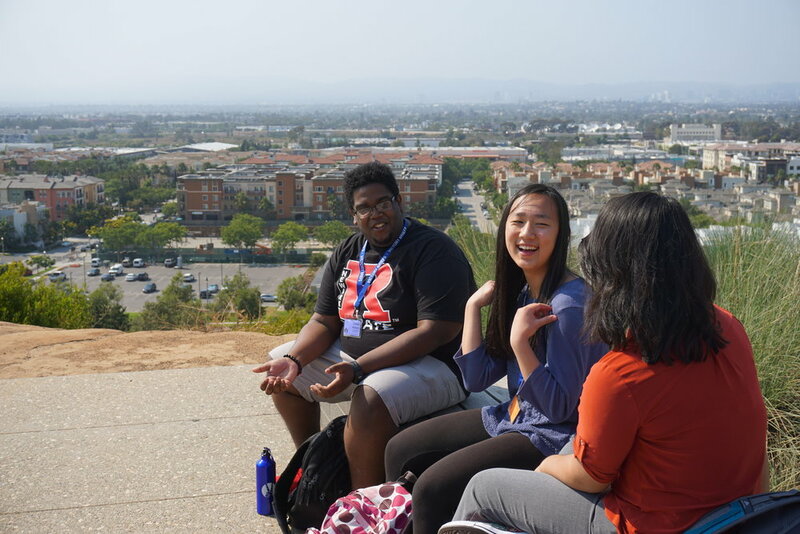 Unlike other three-week debate programs, the third week at VBI LA Session I is not simply an add-on; it is part of a comprehensive and continuous curriculum designed for students who want to take their debate careers to the next level. After a few years away, we are excited to return to Loyola Marymount University. LMU is located in the Marina Del Ray neighborhood of Los Angeles, and is just minutes from the beach and LAX. At LMU VBI students will be treated to the unparalleled weather and scenery of the Southern California coast on one of the most unique and beautiful campuses in the world. In fact, LMU’s is rated as one of the 20 most beautiful colleges in America by the Princeton Review, Newsweek, and Condé Nast Traveler. LMU is known for graduating leaders in the field of business, law, and entertainment. LMU was named one of America’s top producers of Fulbright Scholars by the Chronicle of Higher Education, and has as many faculty rated as among “America’s Best” as any college in the country. Students and staff will stay in Rains Hall. Nearly all students will share a room with another camper. Roommate request forms will be sent out in the spring after students have registered. VBI tuition covers lunch and dinner for students in LMU's Lair Marketplace dining hall, which is located on the first floor of Malone Hall. A complimentary continental-style breakfast will be available to students each morning at the VBI concessions stand. There are a number of other dining options on campus, including Starbucks and Iggy's Dinner, which are open for VBI students. Students arriving by plane should plan to land no later than 3 PM on July 14th, and students arriving by car must be on campus by 4 PM. Students may arrive beginning at 7 AM. We recommend trying to arrive as early as possible. All students must be off campus by 12 PM on August 2nd. If you are unable to make this times work, please contact us as early as possible so that arrangements can be made. VBI will provide transportation by hired shuttle to and from Los Angeles International Airport (LAX) to students arriving and departing within the designated travel window (7 AM - 3PM). Students will greeted be greeted at baggage claim by staff wearing VBI t-shirts and holding signs. The airport transportation fee is $100. Students arriving outside of the travel window are responsible for providing their own travel. Answers to frequent questions about VBI LA Session I can be found HERE. This two-week session takes place from August 4th to August 17th at UCLA. It is open to Lincoln-Douglas and Public Forum debaters entering grades 6 through 12 in Fall 2019 and is suitable for debaters of all experience levels, circuits, and competitive ambitions. The session focuses on the September/October resolutions announced on August 7th, so it is especially useful for debaters who want to use camp to get a head start on the competitive season. Located right off of the famous Sunset Boulevard between Bel Air and Westwood, UCLA offers students the best of Southern California on one of the most beautiful and comfortable campuses around. US News and World Report has UCLA ranked as the #1 public college in the United States. Business Insider says that UCLA has the 5th best college food in the country. At UCLA student have a chance to learn while staying at one of the country’s best colleges. Students and staff will stay in Sunset Village. Nearly all students will share a room with one or two other campers. Roommate request forms will be sent out in the spring after students have registered. VBI tuition covers lunch and dinner for students in UCLA's dining halls. Last year, we used Covel Commons dining facility. A complimentary continental-style breakfast will be available to students each morning at the VBI concessions stand. Students arriving by plane should plan to land no later than 3 PM on August 4th and students arriving by car must be on campus by 4 PM. Students may arrive beginning at 7 AM. We recommend trying to arrive as early as possible. All students must be off campus by 12 PM on August 17th. If you are unable to make this times work, please contact us as early as possible so that arrangements can be made. Students who attend both LA sessions will be provided transportation from LMU to UCLA, and will stay at UCLA the night of August 5th. Answers to frequent questions about VBI LA Session II can be found HERE.